7 - 10 April 2015 - 10th anniversary! Please take a look at the C'MUN 2015 topic of debate at ISSUES & RESEARCH, and COUNTRIES & DELEGATIONS sections to select the country/ies you would like to simulate; then, fill the application form that you will find at the HOW TO APPLY section. The registration fee for C'MUN 2015 is 110 EUROS (each delegate). Special discount for UNA-Spain members: 60 euros (each delegate). Dealine for application is MARCH 13th. You can join our simulation individually, in couples (2 delegates representing the same country in a commission) or in a delegation/group (representing a country in all the commissions where it is available, individually or in couples in each commission). 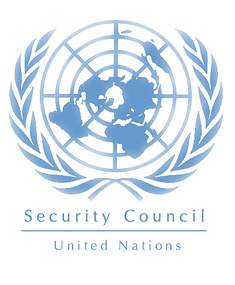 Countries at the Security Council and the European Union Summit can be only represented individually. 1) Click here to fill the C'MUN 2015 Individual Application Form. The application is individual. If you are planning to represent the country with a partner, please specify it in the application form. You can also apply for a Chairing position here. Remember that the deadline for applications is MARCH 13th! 3) Once your participation has been accepted, you must make the payment of the fee to the bank account shown below in 15 days maximum. 4) You will also have to send us a position paper of the country you will simulate at C'MUN 2015. You can find guidelines for the position paper as well as the C'MUN instructional guide and rules of procedure at USEFUL INFO section. The deadline for position papers is MARCH 23rd. The registration fee for C'MUN 2015 is 110 EUROS (each delegate). Special discount for UNA-Spain members: 60 euros (each delegate). If you want to know how to become a member click here. (this only applies for Spanish citizens or Spanish residents). We won't refund any fee after March 1st. One of the many issues arising with the global threat of terrorism is defection. There are a lot of international policies and conventions which have attempted to treat the issue of terrorism, both in deterring it and dealing with those involved. An issue which the international community has failed to act on is on those who attempt to return from being terrorists, this is your task. Nagorno-Karabach is a land situated in Armenian territory and surrounded by Azerbaijan which actually works as a de facto independent state. But to arrive at this situation there has been a large conflict which is not really finished, with ubiquity preventing previous Security council efficacy. The Security Council will need to discuss the current situation and the steps it has to take in order to achieve a peaceful end for this dispute. The access to energy is not guaranteed nowadays neither in all the countries nor for all the people of the developed states. That’s why the General Assembly should discuss whether there is a need to legislate in order to oblige all the state members to guarantee these rights. Some countries have already published some rules regarding the responsibility of the state of providing energy to those who cannot afford it. Which should be the role of states in energy poverty? Thorium is a radioactive element that is far more abundant than other elements such as uranium. It is also said that working with thorium is more safe and clean than with uranium because it is less radioactive, and of course, it is cheaper as far as it is more abundant. One of the major advantages is that thorium can’t be weaponised - do these advantages justify an extension of nuclear powered states. Should we bet for this energy as the solution to our environmental problems and contamination? The advance of technology has arrived in Warfare lately with the form of drones. This items can shot with just one click miles away and that has created a great controversy for those militaries who defend that the vision from a drone camera is far worse than the human eye and that this can contribute to make wrong decisions regarding human lives. Advances from companies such as the Israeli Aerospace Industries have made the use of drone technology not only viable but extremely militarily advantageous. The question is: how do we control this? Europe has always evolved to a non frontier politics neither with goods nor with people, but the last succeeds in Paris and the following escape of one of the terrorists through Spain has reopened the debate of the benefits of the Schengen zone. A number of nations are attempting to join the Schengen zone and from an economic perspective this is justifiable, but do these economic advantages outweigh the possible security threat? TTIP has divided european legislators between the realists and the economists. Beyond that it has divided the economists from other economists. This debate on the expansion of free trade throws into question the economic relevance of barriers and if an open market would be in aggregate preferable to a protected one. Coming by train? Get 30% Discounts! : Valid from 5 to 12 April in all RENFE trains. Print this Voucher and show it at any Renfe ticket offices (Railway Stations or travel agencies). The holder will get a discount on national routes, one way or return ticket, to the closest train station that holds the even. You can also follow this instructions to get it online. The authorization number is 301502950. Besides, here you have some accommodation suggestions in youth hostels, and bed & breakfast in Barcelona.